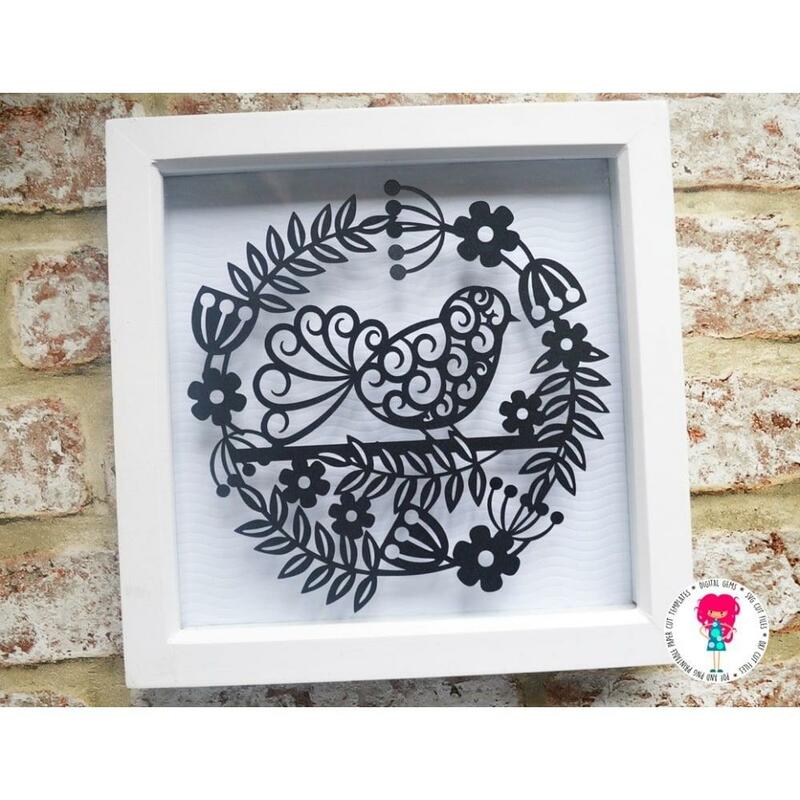 "'A Little Bird Told Me about A Secret Garden' is a gorgeous papercutting template by guest artist Gemma Crossley of Digital Gems. Living in the countryside, just outside of the beautiful Peak District national park, Gemma often hears, and sometimes sees, these beautiful majestic birds whilst enjoying late-night walks with her best friend (George, her Golden Retriever!). This is where her inspiration for this design came from. This design is aimed at the beginner to intermediate papercutter, it would look amazing both with or without infills. A stunning and unique design. "